This information sets out what Wild Pines Park Ltd considers good practice for the maintenance of ‘ropes courses’. Wild Pines Park Ltd course is built on predominantly on trees, and is designed to challenge participants in activities on and above ground level. 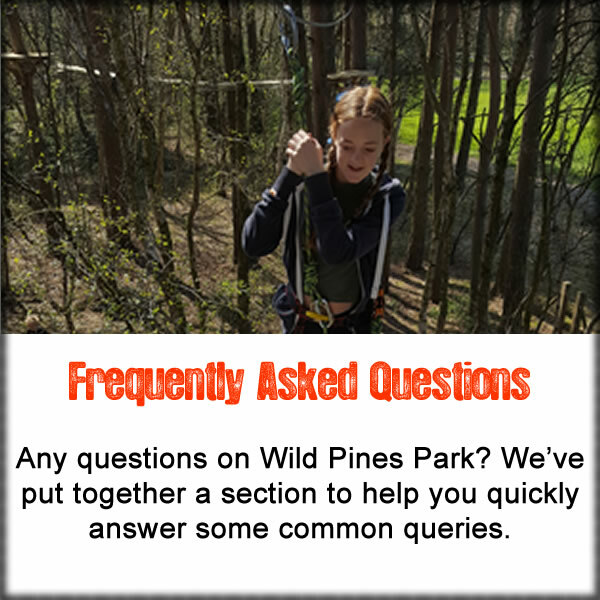 Wild Pines Park Ltd ensures that the equipment needed to build the ropes course is put together safely following manufacturers’ instructions (Coudou Pro). We also check the suitability of the location in which the ropes are to be used. We are aware that other factors, such as the weather conditions to which the equipment will be exposed & may have health and safety implications. As an activity provider, we ensure equipment is properly maintained, fit for it's purpose and in a condition that is safe to use each day. We have a duty under health and safety legislation to carry out a risk assessment in order to identify any significant hazards and to put steps in place to control the risk of those hazards causing harm. The risk assessment identifies the need to have a suitable maintenance program in place. Instructors on the course also have a duty to ensure that when using the equipment they do not knowingly use it in ways that will cause damage. They have a responsibility to ensure that if damage occurs or if they notice that maintenance is needed, they report it so that action can be taken to make the equipment safe. I’ve been told the equipment is tested on a monthly basis. Is this correct? Yes. Each month the whole course and site go through a series of checks to ensure it is fit for purpose. Everything from bolts, screws, ZAZA plates and ropes are checked and retightened if necessary. This is on top of the daily checks where we go around the course and the beginning and end of each day. How do you maintain our ropes course? For the most part, we visually inspect it. By concentrating on a simple system of looking for visible signs of damage or faults, and putting them right, we are able to prevent accidents or serious damage to the ropes course from occurring. This is done prior to use of the course, each day. How can you tell if damage has occurred? By looking! This is the most important maintenance precaution. Inspections which include visual checks are undertaken in a systematic way. Additional checks also include: removing attachments; checking connections to ensure they are secure; checking for evidence of wear and tear (fraying, rotting, chaffing). Familiarity with the equipment so that they can detect changes.